The Favorites feature for contacts on the iPhone has come a long way since its introduction. With the latest version of iOS, you now easily organize your favorite contacts on your iPhone. And Widgets adds new functionality to quickly access your favorite contacts. Unfortunately, several of our readers report that their iPhone favorites feature is not working as expected. 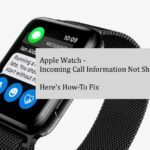 In this article, we discuss some the issues related to times when your iPhone favorite contacts not working. And we provide some tips to deal with these issues. Finally, we show you how to integrate the new widgets functionality in iOS 11-10 for use with all your favorite contacts. Before you troubleshooting, make sure your contacts are syncing to your desired third-party accounts (like Outlook, Google, Yahoo, and so forth.) To check, go to Settings > Accounts & Passwords > and tap on each account listed. Check that Contacts is toggled ON if you want those contacts to sync with your iDevice. For folks using iOS 10 and earlier, check Settings > Mail > Accounts and perform that same step. 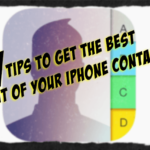 You have set up the favorite contacts correctly on your iPhone. Most of your contacts may have more than one phone number, one for their work phone and one for their cell phone. Unfortunately, in your favorites list on your iPhone, you can only see one of these phone numbers, which may not be the right one. Trying to update the number to the correct number doesn’t work as it defaults back to the phone number it has. This can be super annoying as you are unable to use the right phone number for the contact. The favorite list feature on your iPhone integrates with your contacts app as well as iCloud. These problems usually happen when your contacts are out of sync, or you have duplicate contacts. Check to see if you have duplicate contact information. Have you set up two contacts for this person, one with the work number and another with the cell phone number? Log into iCloud.com, open the contacts app there and check for duplicates. If you take care of the duplicate contact cards, this issue should get resolved. 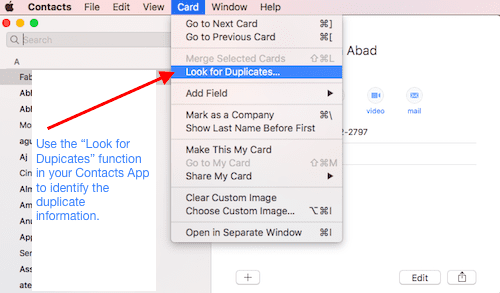 If you suspect that you may have set up multiple duplicate contact cards, trying to find and edit one by one on icloud.com may require some elbow grease. A better way is to open the contacts app on your Mac. Go to the “Card” Menu and then “look for duplicates”. Here you can choose the “merge the duplicates”. Once you have corrected the problem using your Mac, it automatically syncs with your iPhone if you have the contacts enabled for iCloud on both your Mac and iPhone. 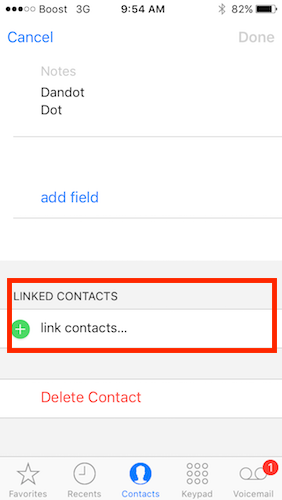 The link contact feature in your contacts app is helpful when you have multiple accounts. This will allow you to link different contact information for the same person that you have on your device. For example, you may have one set of contact information from Gmail and another set of information that you manually entered for this person. 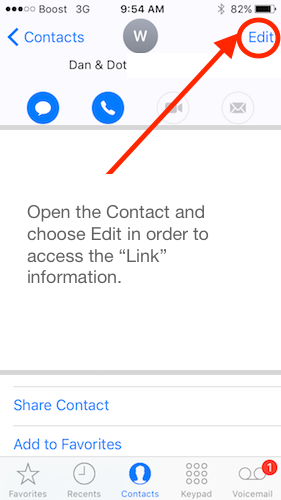 The link contact feature helps you merge this information. By linking both the cards, you combine that information and use it via one card. If your favorite list is showing the wrong number, link the accounts for that contact if you have not already done so. Open the contact card for the entry that you are having the issue within your favorites. Scroll down to the bottom and check for multiple accounts (e.g. iCloud, Gmail etc) for this contact. Change the Phone numbers for both the accounts to show the same set of numbers. Essentially you are assigning the same work number and cell number to both the linked accounts. Now open up the favorites and you should see both the numbers correctly reflected. 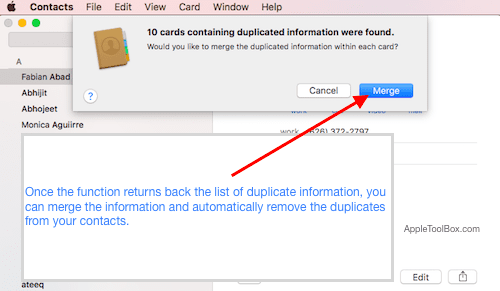 If your contacts are set up correctly and you do not have the duplicate issue or wrong link information, chances are that there is something weird happening when you sync with iCloud. In order to tackle this issue, just perform a few simple steps. This now allows you to add new numbers to your existing favorite list and retain that information. With iOS 10 and higher, you can use the new widgets functionality and set up your favorite contacts so that they are easily accessible to you. Here are 5 easy steps that help you accomplish this. Tap on Done and this will show your top 4 favorite contacts on your widget screen. Show more will expand and show you up to a total of 8 favorite contacts. In iOS 11-10, the favorite widget also remembers the preferred method of communication for your favorite contacts. You customize these options and your widget show you the contact and the different methods that you set up to reach him or her. Open your Phone app and tap on the Favorites tab on the far left bottom. Tap on the “+” button on the left top of the screen to add a contact as your favorite. Here you can designate the mode of communication to be saved along with the contact. This allows the contact to be saved along with preferred communication into the widget as well. When you tap on the favorite contact on your widget screen, it will use the preferred method of communication that you have set for this contact. 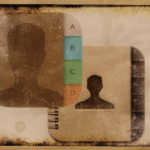 There are many third-party apps out there that help you in effectively managing your contacts and are popular with users. We have found the Apple Contacts app pretty efficient when it comes to doing the basics and integrating well with all the other apps. After having used the default app for so long, it is hard to change over to a new app. 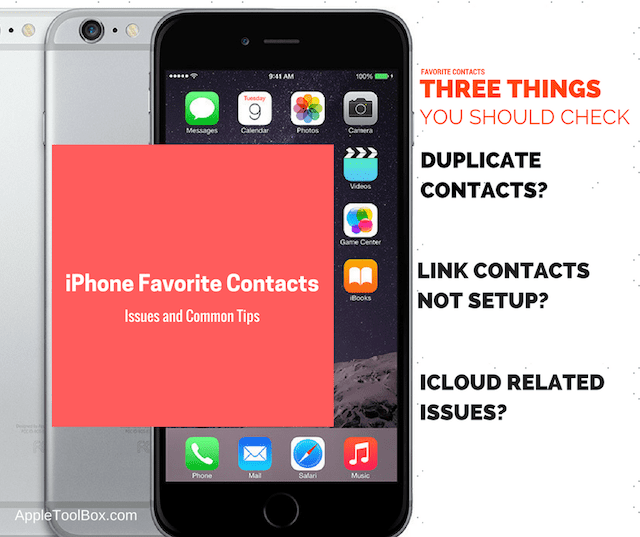 As long as we follow the basic rules of setting up clean contacts and manage them through the iCloud sync process, the contact features work very efficiently across the numerous Apple apps. We hope that you found these tips helpful. Please take a moment and share it with others. Please let us know if you are having other issues with the contacts/favorites functionally on your iPhone by using the comments below. I use 6S Plus with latest iOS 11. Seems like I’m unable to set my Favorites as Facetime or Facetime Audio calls. No matter if I try to do it via Favorites/Add or via contact card “Add to Favorites” option I can’t see Facetime options on the list. I see Call, Message, WhatsApp etc but no Facetime. Once you reset these 2 items, go back to Settings > FaceTime and toggle FaceTime back on to activate it. Remember to verify that the information shown for FT is accurate including your correct Apple ID, phone number, email(s). Also, check your Blocked list to ensure no one is on there that you want to FT with. Finally, check if there is an iOS update–if so, backup first and then update. After doing all this, restart your iPhone and see if the Contacts App updates. FaceTime Audio calls are a bit tricky! To add in FaceTime Audio as a favorite, open the Phone App and select Favorites. Then press the plus sign to add a new contact to favorites. Select the contact you want from your list. Choose Call and then from the drop-down menu, select FaceTime. That contact should now appear in your favorites list and widget as a FaceTime audio call. Of course, in order to see FaceTime as an option, you need to be signed into FaceTime with your Apple ID and the person you want to FT call with also needs an Apple ID and an Apple device in order to make FT calls with. I am an IT moron! iPhone was working normally including stored phone numbers. Went overseas for 12 days and on return to Australia no stored or new numbers tried are working ie no phone calls can be made. Well that’s no good! Let’s see if we can help. First, if you haven’t already done this please force restart your iPhone. 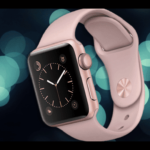 It’s different depending on your phone model so check this article and look for your iPhone model and then perform a forced restart. See if things are working again. If not, let’s check your mobile network: go to Settings > Cellular or Mobile > Cellular or Mobile Data and toggle this off and on. The tap Cellular or Mobile Data Options and select Enable LTE for Voice & Data and whatever roaming settings you normally use. Next, once restarted check your Date&Time Settings and make sure that Set Automatically is toggled on. Go to Settings > General > Date&Time > Set Automatically. If this is already toggled on, toggle it off, wait 20 seconds, and toggle it back on. If still nothing, power down your phone, remove your SIM card and put it back in and then power it back up. Check again. If that didn’t do the trick, try Reseting your network settings: Tap Settings > General > Reset > Reset Network Settings. Turn on Airplane Mode for about 30 seconds. Then turn it off again. Test again. Tap Settings > General > About. And check your Carrier Setting. If an update is available, you’ll see an option to update your carrier settings. If still nothing, look for an iOS update. Go to Settings > General > Software Update. And test again. Let us know if one of these tips works. And if not, let us know that too. I enter my contacts on my computer in Office 365 and then sync to my Iphone 7. However, all numbers under Work-2 and Home-2 do not show up on my iphone. There are many contacts with 2 office numbers and 2 home numbers. While they get entered on my computer contact list, they dont show up in iphone after syncing. But they do show up on my Android phone. Can anyone pls solve this for me? I have been told that I need to enter this manually in the iphone for each contact and this will be a huge job as I have almost 9000 contacts. Is there any way that i can get all the fields in my iphone just by syncing my computer? However funnily enough, the number that is in the ‘OTHER’ field on my computer contact list shows up in my iphone but does not show up in my Android phone. Sorry to hear about those contact troubles! Ugh. Have you turned on OWA for your 365 account? First, open your 365 account and navigate to the Admin area. Go to Service settings> Mobile access. Then turn on OWA for Devices contact sync so users can sync their Outlook Web App contacts with the address book on their iPhone or iPad. 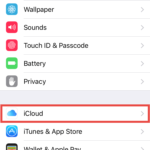 Have you tried synching your contacts using iCloud instead of iTunes? See if this helps. You can also leverage the icloud website. If you log into your iCloud account in the web browser, an open the Contacts App and open the Settings button (the gear icon in the lower left corner.) Look for the Refresh Contacts—try this. You often need to refresh multiple times to get all your contacts recognized. Also there, you find an option to import v-cards—you could use this method as well to import. We wish you well and keep us posted if you discover something different so we can share with everyone! Hi, I have a different problem with my iphone 7 Plus. I just downloaded the newest version of the software and now, I cannot add any new contacts on my phone. I’m not trying to add them to favorites, just add them to my phone. If I enter first and last name and phone number and anything else and hit “done”, it shows me on the screen that the new contact has been added. But then if I close out of that and then try to search on the contact that I just added, it is not there. It is like I never entered it so there is nothing to synch or add to favorites. Any idea about what I can do for that? Thanks! Sorry, you’re having an issue with Contact in iOS 11. First, let’s make sure that Contact really isn’t there by using Spotlight Search. To access search, place your finger(s) mid-screen and swipe down. Then type in the Contact Name exactly as you entered it in Contact App. See if anything shows up under the heading Contacts. If so, double tap the home button to bring up the app switcher, locate the Contacts App preview, and swipe up to close it. Return to home and open your contacts app. See if the contact is now there. Open your Contacts app and in the upper left-corner tap on Groups. First, tap the Hide All Contacts Button, then tap the Show All Contacts Button. If you have more than one group checked, go to Settings > Contacts and look at what’s listed as your Default Group. If this is not your main contacts group, tap it and change it accordingly. See if this makes a difference. Are you syncing your Contacts with iCloud? To check, go to Settings > Apple ID Profile > iCloud > Contacts. If this is toggled ON, try toggling it OFF–press Keep on My iPhone–then toggle it back ON and press Merge. Now check your contacts app again and see if contact is there. Go again to Settings > Apple ID Profile > iCloud > Contacts and toggle it OFF–press Keep on My iPhone. Once you finish disconnecting Contacts with iCloud, open the Contacts App and add a new contact in and press Done to save it. Restart your iPhone by powering off and on, and see if that contact is still there. If so, we’ve identified that iCloud syncing is the issue. Alternatively, if you have a computer visit the iCloud website, log in, and add a contact there. Once it’s saved, restart your phone and see if iCloud synced that new contact over to your phone. Try these out and let us know either way–if it works or doesn’t. And if you find another answer, please let us know so we can pay it forward. Alice, We have seen this issue reported by other users. 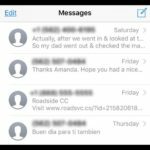 First, check this article: iMessage Contact Names Missing, Shows Number Instead? Tips to fix it. And see if those tips help. And here is a user suggestion from the article “Common iOS 11 Problems, How to Fix”. Mark, a reader says that he found success with this issue. “– I had the same problem after upgrading to 11…I found that in Settings, under “accounts and passwords” that one of my 6 accounts (gmail) did not have “contacts” toggled on. Each of your accounts should have this on I think. When I toggled the Gmail all my names came back. Hoping that this works for you.